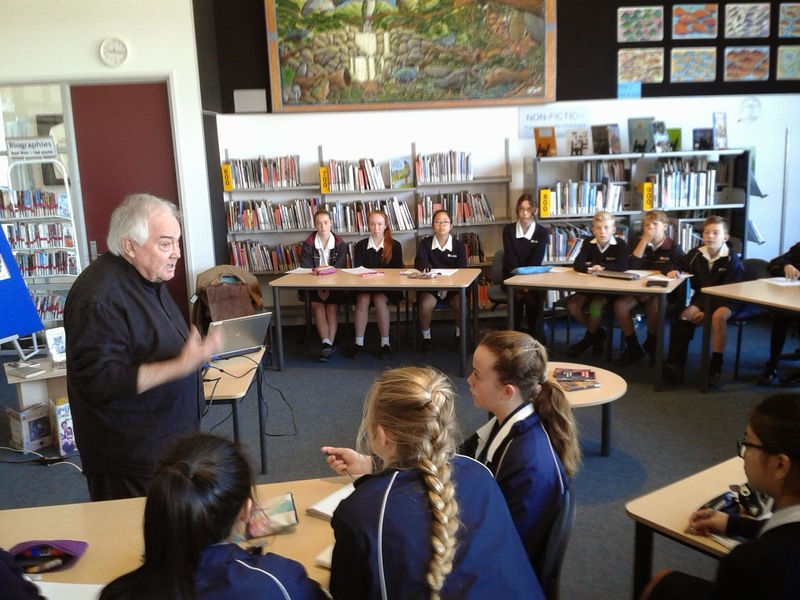 We were privileged to host award winning, Australian author, Gary Crew, as part of this year's Storylines Festival, NZ. I was absolutely impressed with his knowledge, humour and content. 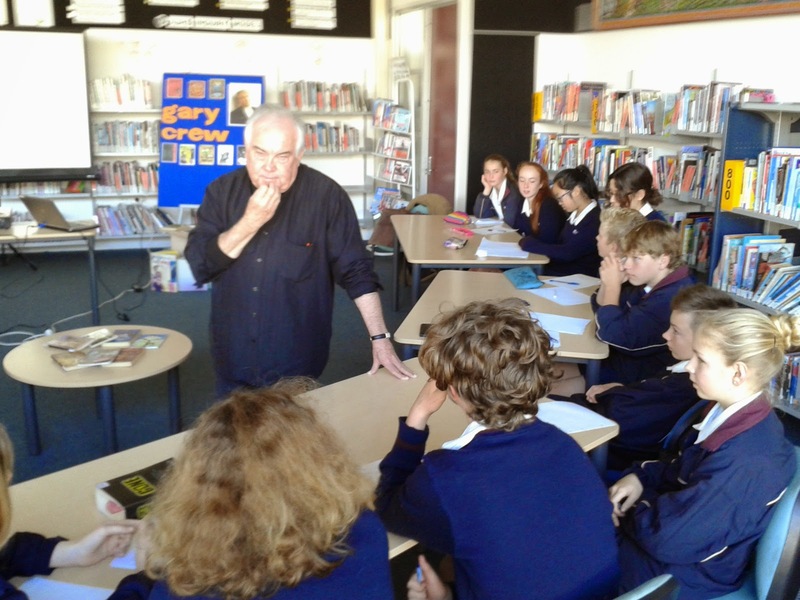 Wayne Mills, another guru, now retired university lecturer and full time Quiz Master for Kids' Lit Quiz also attended. 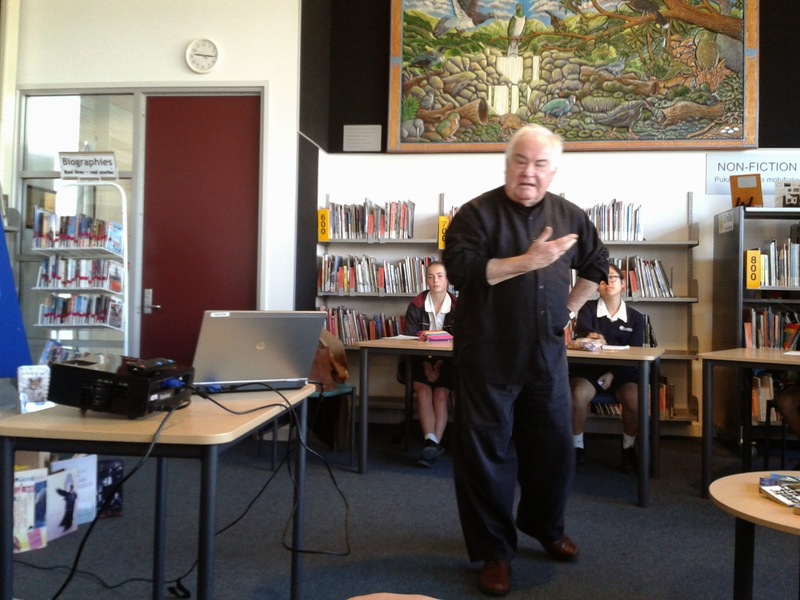 It was lovely to reconnect with Wayne after ten years when he presented in our foundation year here at AJHS. 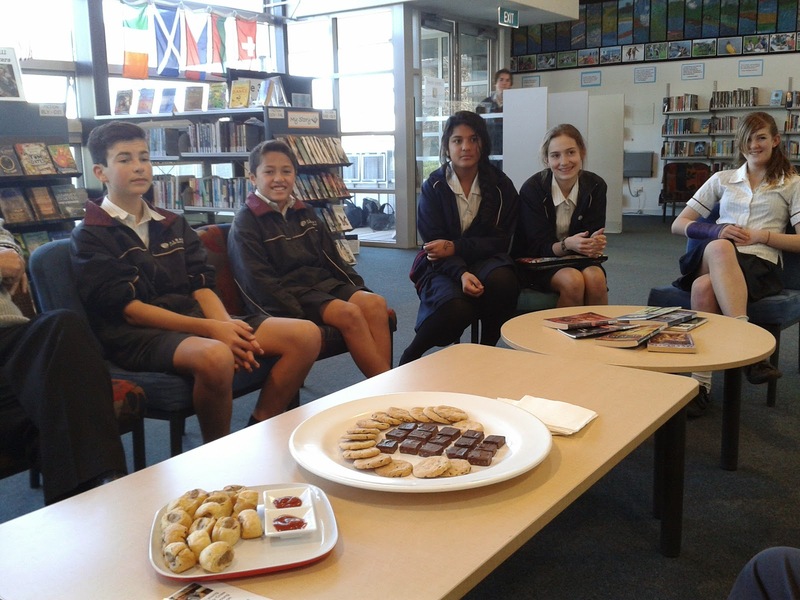 A group of extension Year 8 and 9 students attended the creative writing workshop, selected for their flair and enthusiasm for writing. However, at first, they were a tough, mute audience. Both Gary and myself had to try really hard to warm them up. 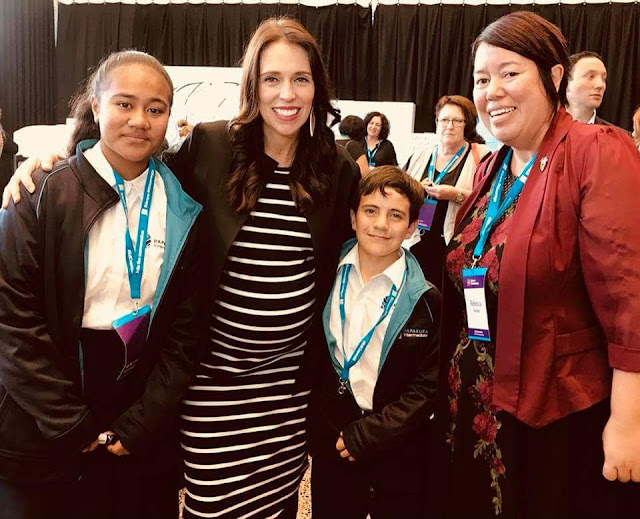 This was an excellent reminder for me, as when we 'drop' students into these 'artificial' settings, they may not necessarily know each other or perhaps they are not used to having a voice, a choice or having to think deeply. 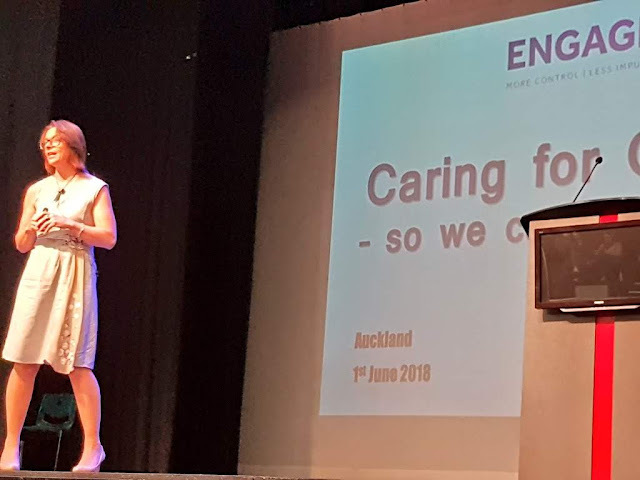 As educators, ideally we need to activate their learning, encourage and empower their voice, allow them to take risks in order for them to gain confidence and articulate their thinking. 1. When you write, have something significant to say. - Who performed the final act of God? The Doctor took life, rather than giving it. Who is her? 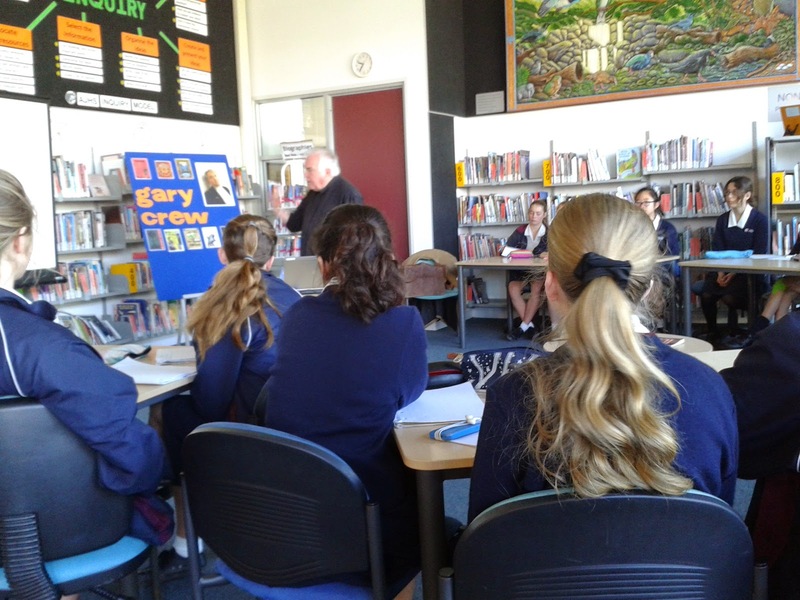 I loved that Gary, a seasoned professional was "scanning for victims", pointing out to our students that it is important to have a go - "if it's not right, who cares? If they laugh, who cares?" Look at the use of VERBS - aggressive, violent, shook - conjure up an image. Less to write, it is harder. 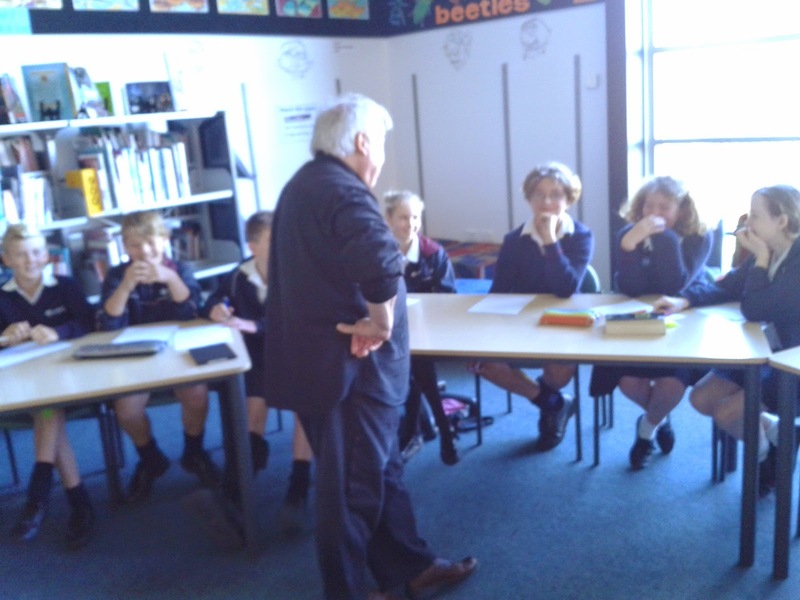 Developing plot, character, setting and theme in a short story. A novel is more forgiving, you can drop stuff out. 4. Who is the narrator? Whose point of view? Gary finished with a writing task for the students. He wished to simply throw pebbles in the pond, for the students to make ripples. 1. 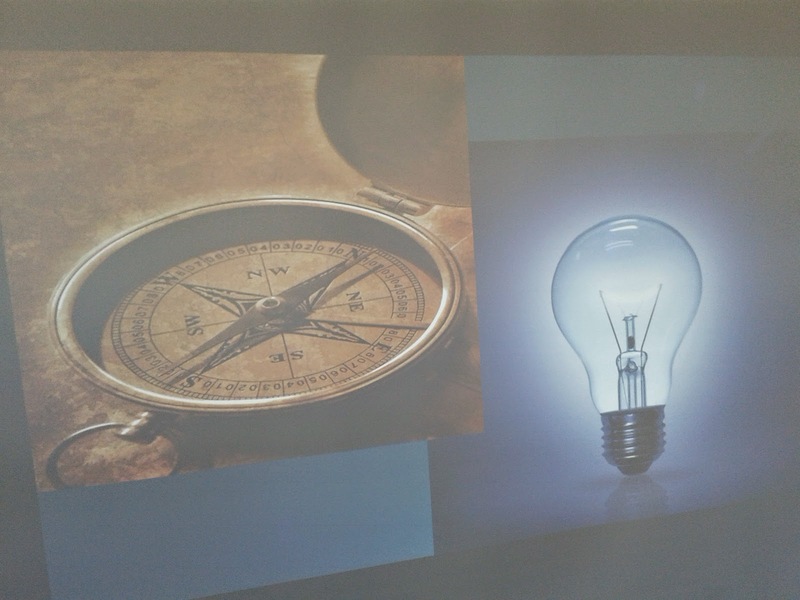 Presenting images of two unrelated objects, he was challenging them to make connections and Ask WHY? The key is to START - start making words. 2. SYMBOLS: again, images that symbolise ideas, concepts. Ask what is the Conflict? 3. How do they LINK? 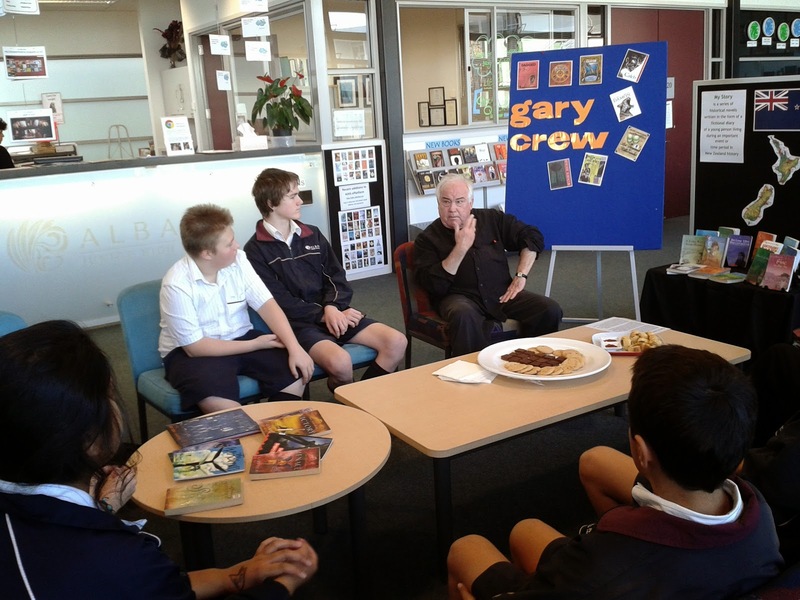 As a creative writing Professor at the University of the Sunshine Coast, Gary Crew works mainly with doctoral students. Their goal is to write a novel, plus theorise this process. This university also provides a PhD pathway in Gaming and Dance. Education is important.